Lesson: The Coordinate System | Algebra 1 | Math Tutor Inc.
Our Algebra 1 tutorial software program contains over 60 topic areas. One of them is The Coordinate System, and this page summarizes the main ideas of this topic. This page is intended for review, and is not a substitute for the interactive, self-paced tutorials of the MathTutor algebra 1 software program. In our study of algebra, we will often work with lines and graphs. To prepare for this, let's discuss the number line and the coordinate system. This is called the COORDINATE SYSTEM. 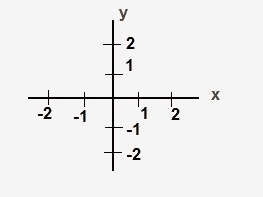 The horizontal line in our coordinate system is called the X-AXIS and the vertical line is called the Y-AXIS. The point where the two lines meet is called the ORIGIN. 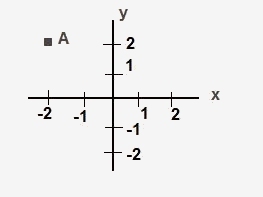 Every point in the coordinate system can be defined by its location relative to the origin. To do this, we measure from the origin how far we traveled along the x-axis and the y-axis to reach the point. 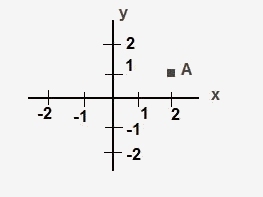 For example, the point A shown below has an x-coordinate of 2 and a y-coordinate of 1. We can write point A's coordinates as (2,1). 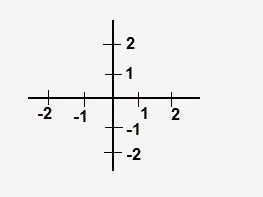 The x-coordinate is shown first and the y-coordinate second. What are the coordinates of A in the image below? The coordinates of A are (-2,2).